Foundry, makers of Nuke have announced the making of Nuke 11.1v1, which introduces new features to the Nuke family. This update include new capabilities and bug fixes that improve the 11.0 release. Nuke and Nuke Studio's file localization feature has been improved. The Preferences > Performance > Localization menu has been updated, offering a new manual mode as well as color codes to indicate the state of localized Read nodes and source clips. The new manual localization mode does not localize any files automatically, but checks in the background for updates to the source files, notifying you if they become outdated. When the localization policy is set to on demand or on you can update outdated Read nodes and source clips by clicking the Update button in the Properties panel. The improvements also include a new pause localization on script/project load preference. When enabled, no new localization takes place when you load a script or project, which can speed-up load times. You can now double-click Nuke Studio source clips and shots on the timeline to open Read node-like Properties panels. Timeline Read nodes contain a subset of the full Read node controls, including file path, localization policy, and colorspace. For specialized Reads, like R3D and ARRIRAW, additional controls are available, just like in the Node Graph. In addition, source clip properties are accessible through the same Python API as Nuke, improving scripting capabilities and integration into existing pipelines. Nuke can now display accurate script profile data onscreen or output it to .csv or .xml file to help you troubleshoot bottlenecks in slow scripts. When visual diagnostics are calculating, timing information is displayed in the Node Graph, and the nodes themselves are colored according to the proportion of the total processing time spent in each one. The data is then displayed in the Profile tab as a bar or pie chart, timeline, or as a table. - BUGID 143908 - Expressions: A new Performance > Expressions > Mode preference has been added, controlling how expressions in the Node Graph are evaluated. After an initial evaluation on all expressions to find dependencies, the default mode, Lazy, only re-evaluates expressions when needed. This can help with UI performance in some circumstances. If you require constant expression evaluation, set the Mode to Always, which causes Nuke to behave as in previous releases. - BUGID 169843 - BlinkScript: An error message is now printed in the Viewer, as well as in the initial error dialog, providing more information about compilation errors. - BUGID 173220 - The BlinkScript node and soft effect now support float3x3 and float4x4 matrix constructors. About NUKE STUDIO. 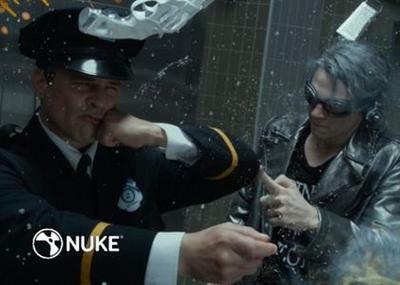 NUKE STUDIO is a powerful node-based VFX, editorial and finishing studio designed to empower creative individuals working independently as well as collaborative teams working on quick-turnaround projects in a way that's previously never been possible. A unique and seamless combination of effects and timeline, with NUKE STUDIO, users can conform, edit, color-correct, add effects and playback at 4K. Run a whole project from a single desktop, even sitting with a client whilst doing it, and use NUKE STUDIO's powerful collaborative controls to share work with a wider team and manage this from a central integrated location. About The Foundry. The Foundry develops award-winning computer graphics and visual effects (VFX) software used globally by leading artists and designers. The portfolio lets users create inspiring and technical high-end visuals across a wide range of industries including film, TV, commercial and games, as well as the CAD, design and architecture markets. Together we constantly strive to produce innovative solutions that meet the needs of our customers and the ever-changing environments in which they work. The Foundry Nuke Studio 11.1v1 | 850.9 mb download links are provided by Extabit Rapidshare Uploaded Rapidgator Netload Bitshare Freakshare Letitbit Dizzcloud and more.